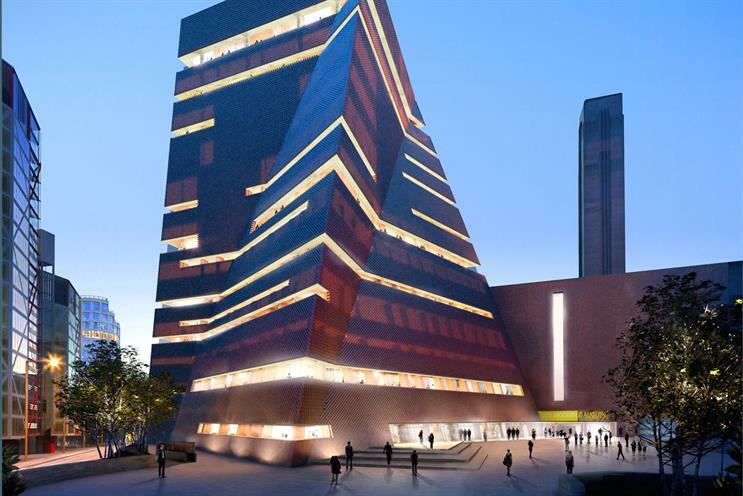 Tate, the owner of Tate Modern and three other galleries, is looking for a creative agency. The winning agency will be tasked with developing campaigns for its exhibitions and learning programmes over the next two to three years. It will also be required to take on strategic projects, including the launch of a new development to the south of the existing Tate Modern building in London next year, and the refurbished Tate St Ives in 2017. Tate Gallery expects to pick an agency by the end of June. In an e-tendering document, Tate Gallery wrote: "The agency is required to collaborate with Tate to develop innovative ideas that respond to and articulate Tate’s newly developed brand proposition, and to extend the reach and appeal of Tate among our target audiences." The incumbent is The Brooklyn Brothers which won the account in 2011 but will not be repitching for the business. AKA handles the media buying for Tate. The four galleries owned by Tate are the Tate Modern, Tate Liverpool, Tate Britain and Tate St Ives.